Michele Mariotti, head Bartender at MO Bar Singapore, brings his series of guest shifts using local ingredients, sourced from markets and beyond, to Bangkok’s renowned The Bamboo Bar. The two Sandeeps bring a taste of The Wise King’s tweaked classics to Bangkok for one night only. 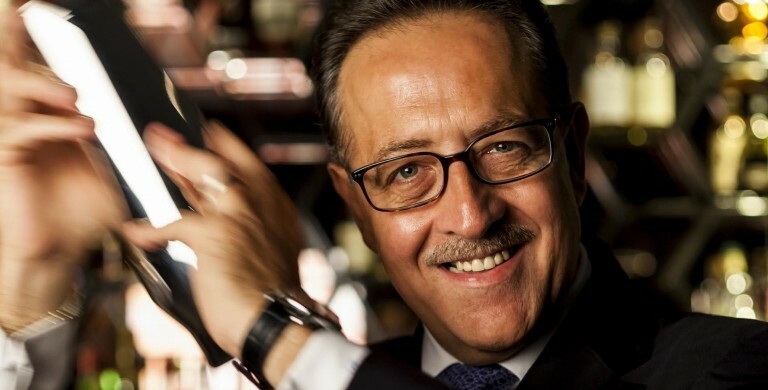 Davide Boncimino of Singapore’s newly opened Chinese restaurant and bar Madame Fan heads to Tokyo’s 45th floor bar the Lobby Lounge at The Ritz Carlton for two nights of drinks, using the bar’s famed homemade ingredients and infusions. 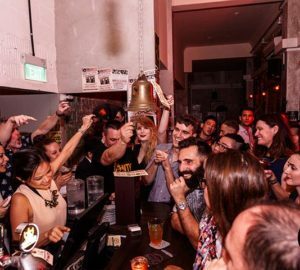 Suraj brings Malaysia and China a taste of Asia’s 11th Best Bar in Asia, serving drinks from the bar’s recently launched Origin of the Species menu for one and two nights respectively. Atmosphere: April 12 and 13. 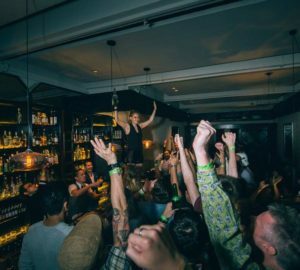 Shanghai’s moustached Frenchman Timothee Becqueriaux heads to Manila with La Maison Fontaine absinthe to bring the Philippines capital some absinthe love. Prior to Timothee’s Salon De Ning shift, La Maison Fontaine founder Sven Olsen will deliver a masterclass from 3-4.30pm. Last year’s Gin Mare Mediterranean Inspirations Hong Kong finalist Gagan Gurung will be turning Hong Kong whisky spot Whisky & Words into a gin haven for one night, serving up Gin Mare cocktails, including his winning drink. 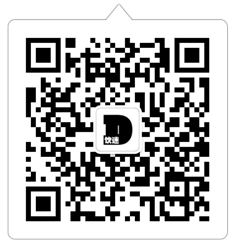 He’ll then head to Beijing’s The Black Moth, serving Fang Fang’s cocktails inspired by the Chinese zodiac. Alice’s Demie Kim, winner of last year’s La Maison Cointreau competition, heads Hong Kong side for two guest shifts at Asia’s 50 best darlings Lobster Bar and Stockton. Agave master Jay Khan heads to Singapore’s Madame Fan for a masterclass on Patron and Margaritas followed by a guest shift serving his Dynasty Margarita – a current contender for Patron’s Margarita of the Year – along with other cocktails. 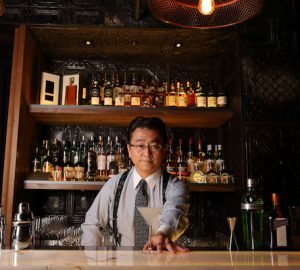 Ryuichi Saito – semi-finalist in Bacardi Legacy Japan 2018 and third in Global 2015 Chivas Masters Cocktail Competition will be bringing Japanese-style bartending to Jigger & Pony for two nights. The hidden bar that’s number 24 on the World’s 50 Best Bars list and known for its super-duper speed pouring will be serving a menu of cocktails made with only French spirits for three days in Macau. Bryson, who also owns Hong Kong’s Circuit Square Tattoo, will be serving locally inspired cocktails using Sailor Jerry spiced rum, whilst his artists are on hand doing flash tattoos inspired by geometric and East Asian designs. 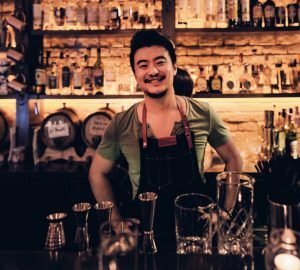 Vida Rica’s head bartender will be heading Seoul-side to showcase the bar’s newly launched Legends and Cocktails menu. It’s Steve Schneider-ception as JiaWei heads from EO Singapore, to work at his boss’ and boss’ business partner (in The Odd Couple) Shingo Gokan’s Shanghai stalwart Speak Low. Lorenzo, who recently relocated to Hong Kong after a two year stint at Seoul’s Charles H, will head to KL for a masterclass and guest shift. The day before his shift, he’ll visit the Chocolate Concierge chocolate factory, before returning to the city to deliver a masterclass on his findings, followed by a very chocolatey guest shift. When: April 24. Masterclass; 4-5pm. Guest shift; 8pm-late. 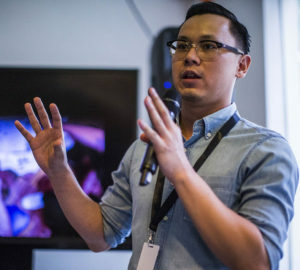 Lester Ligon, bar manager of ABV, Diageo World Class Philippines champion 2018 and subsequently 6th place at the Diageo World Class global finals 2018, brings his champion stylings to Singapore for one evening. James Estes, in partnership with Vantguard, Tequila Ocho brand ambassador, owner of Jack Rose Kuala Lumpur and mixology director of Huckleberry Hospitality Group (which owns acclaimed bars such as Skullduggery, Birch, Mezze and Huckleberry in Kuala Lumpur), heads to Banyan Tree’s Moon Bar for a night of cocktails. The man. The legend. The “Maestro”. The Creator of the Breakfast Martini. The holder of many accolades will head to Pussyfoot Saloon to deliver two masterclasses on what makes a great bartender, followed by what’s sure to be an incredible guest shift. 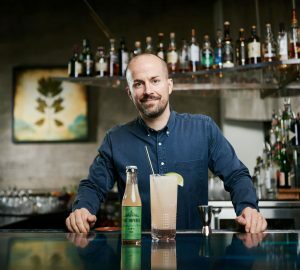 The no abv spirit and Australian soda company will team up to serve six N o l o Drinks: three Seedlip Sebastian drinks and three Capi Thurman drinks. The team from Paris’ Little Red Door (number 33 on World’s 50 Best Barrs) are currently on an international bar tour showcasing 2019’s “A Way with Words”, a menu exploring phrases different cultures and societies use which don’t have direct English translations. The cocktails dig down to the roots of where these phrases come from, looking at the notion that words arise from emotions and then lead to their meanings. They’ll stop in Shanghai for aperitifs at Sober Cafe followed by digestifs at Sober Society, both featuring Maison Ferrand spirits.